To the surprise of many, Bob Dylan has become the first singer-songwriter to win the Nobel prize in literature. As the news broke, I was in the middle of teaching James Joyce to some undergraduates – an author who did not win the Nobel, but is often considered a pinnacle of high literature. Many wouldn’t look to compare these two artists, not least those already protesting that Dylan’s win cheapens the award. But in many ways, they’re alike. I’m thrilled. Dylan’s win has been a slow train coming. 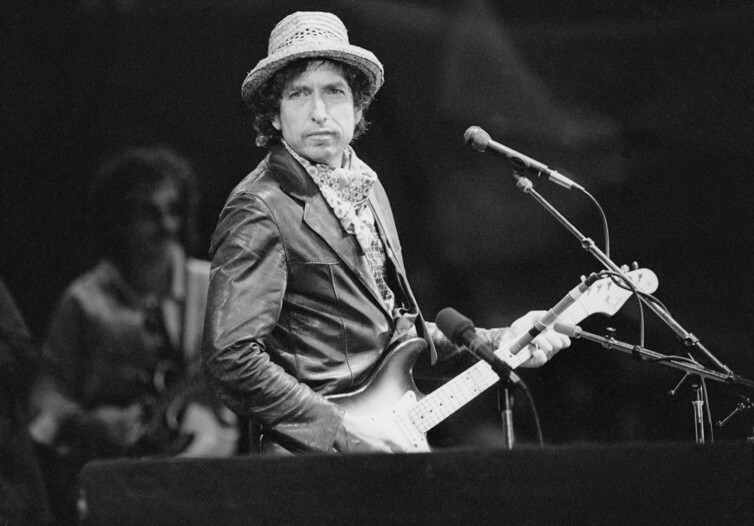 Meanwhile, Dylan will have been gearing up for another gig – much as he has been doing for more than half a century. On his Nobel-winning night he’s set to play Las Vegas, so it’s good to hear that he’s won a prize based on the reasonable judgement of a committee of high-minded enlightened experts and not just on the throw of the dice. In terms of stamina alone, he’s a worthy winner but – more than that – it is the quality and the generosity of the achievement that is a pleasure to recognise. It’s great for his millions of fans around the world, old and young, great for the prize and great for the idea that popular music and serious literature aren’t necessarily so different after all. The world of Dylan’s most distinctive lyrics is probably more Las Vegas than it is Stockholm – his songs are more often populated with gamblers than writers and academics. But his stature as the poet of rock and roll has never really been much in doubt. The significant presence of literary culture in what Variety magazine once mocked as the “deliberately iggerunt” vernacular language of his songs has increasingly been revealed. The seriousness of the literary as well as musical achievement has gradually gained more and more respect and leading academic critics, such as Christopher Ricks, have been keen to recognise and to try to account for it. His autobiographical Chronicles are packed with references to and anecdotes about writers. References and anecdotes are also something that filled Joyce’s pages. Curiously, Goddard Lieberson, president of Columbia Records at the time Dylan was beginning his recording career, gave him a first-edition copy of Joyce’s masterwork Ulysses. Dylan professed that “he couldn’t make hide nor hair of it”. He wanted the poet Archibald MacLeish to explain it to him but didn’t get around to asking in the end. Readers of Joyce as well as Dylan might recognise that as just the kind of thing that happens to Joyce’s hero Leopold Bloom. Ulysses is full of snatches of songs and music – and if it had been written a few years later Bob Dylan would have been in there for sure. What a lucky man to own a first edition of such a famous text – now one of the most prized and valuable of all collectable rare and vintage books (one sold in 2009 for £275,000) as well as one that is most valued by serious literary critics and readers all over the world. Not a bad insurance policy just in case the recording career didn’t take off. But of course it did take off – and how. It’s hard to imagine a more prominent living figure in American culture – perhaps even world culture – than Bob Dylan, or one whose work combines a more richly poetic and surreal artistry in its vision of the contemporary world, a more iconoclastic sense of social justice, more notes of personal intimacy or such a dry and acute sense of humour. There is nobody better capable of provoking his huge and amazingly loyal audience with new challenges, at the same time as endearing himself to them all the more. 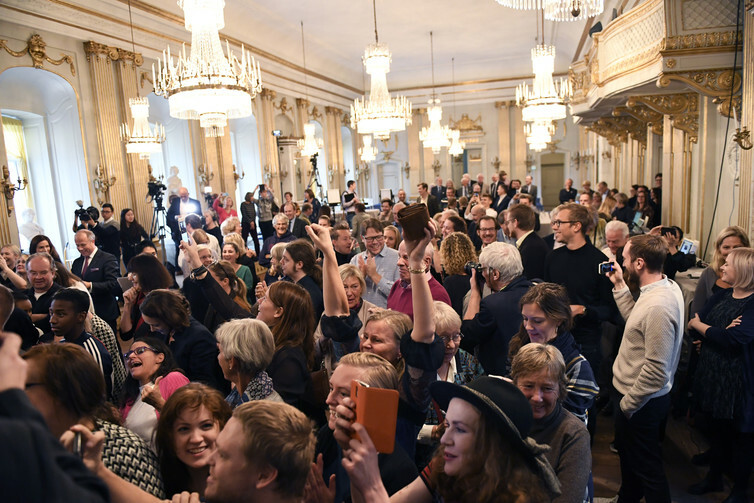 How does it feel for Dylan to win the Nobel? Let’s hope he tells us in the acceptance speech – or in song. Copyright 2016 Macho Zapp. All Rights Reserved.